While the Rookie Transition Program has become a time-honored tradition, a new topic of discussion has emerged at the event: social activism. The Crossover spoke with NBA personnel and first-year players about how they're addressing the important, real-world issue. The basics of the NBA’s Rookie Transition Program—held in Parsippany, New Jersey, each August—follow the same general path of other major American sports leagues. 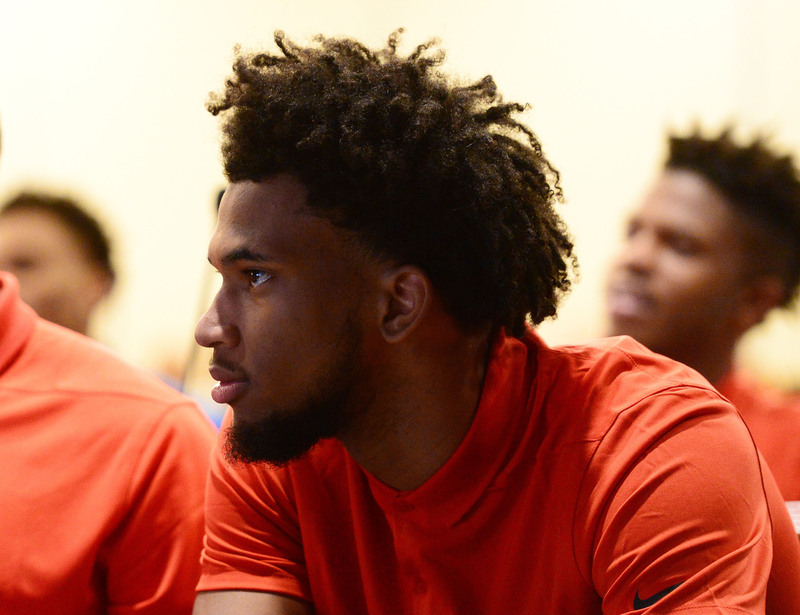 New draftees learn tips for money management, media training and general wellness, with the NBA looking to smooth the adjustment to the professional ranks. But during the 2018 iteration of the NBA’s transition program, the league broached a topic not common among most rookie symposiums: social activism. As the NFL remains embroiled in controversy regarding protests during the national anthem, the NBA has taken a lead on addressing social issues within the community. And that charge has largely come from the top, both on the court and in the league office. NBA rookies and Players’ Association personnel praised NBA commissioner Adam Silver for his encouragement and embrace of player activism, stressing the open dialogue created by the NBA and its players. A far cry from Michael Jordan’s apolitical stances of the '90s—which, in fairness, have been amended in recent years—the league’s top stars have taken a lead on social activism in recent seasons. LeBron James has decried police violence by donning a hoodie for Trayvon Martin and an “I Can’t Breathe” t-shirt in tribute to Eric Garner, continuing to use his platform in the Trump era. At the 2016 ESPYs, James was joined by Dwyane Wade, Chris Paul and Carmelo Anthony, urging athletes to use their platform for social change. The league’s most revered player has set a precedent for the 2018 rookie class. James has emboldened the new draftees to take an active presence in their communities even before setting foot on an NBA floor. Rather than shy away from the issue of social activism, the NBA and Players’ Association have opted to take a proactive stance, aiming to teach incoming rookies how to use their platform both on a local and national level. While James, Anthony and Co. needed to mature before becoming outspoken in the community, the past few rookie classes needed nothing of the sort. Some of the league’s youngest players have emerged as strong voices, writing essays, sporting sneakers and even taking to Harvard to discuss issues important to them. The young voices have followed a recent trend in the NBA, where activism across the league has yet to draw the pushback seen in the NFL. On the contrary, NBA figures have seen their popularity grow from taking stances on a range of issues. James’s “U bum” tweet directed at Trump gained nearly 1.5 million likes on Twitter, and Popovich-Kerr 2020 gear can be bought in the form of t-shirts, coffee mugs, mousepads, tote bags and decals. Social activism in the NBA has become an industry in itself. The line between sports and society blur by the season, with the issues outside the arena often coming through the ticket gate and onto the court. And the NBA’s incoming rookies aren’t looking to settle into the league before becoming prominent figures in their respective communities. For many, the work has already begun.